Welcome Marilyn Baron author of The Alibi, a new Romantic Suspense. The Alibi was inspired by my year in the Florida prison system, doing PR, not time. I love any book about World War II, especially thrillers. Gabriel Allon, an art restorer and an Israeli spy, a fictional character created by Daniel Silva. I just finished a women’s fiction with elements of historical romance and suspense called The Siege: A Novel, set in current day Florence, Italy, and New York City and the Greek island of Crete during WW II. It is inspired by a true story. What would you do if you were in the wrong place at the wrong time—forced into the honeymoon suite with a man who wasn’t your husband while your hotel was under attack by terrorists? That’s how The Siege: A Novel, opens. When artist Theia Constas finds some vintage WW II photographs and love letters in a shoebox in her grandmother’s closet upon her death, she goes on a journey of self-discovery, where she finds love and realizes her passion through a link to her grandparents’ hidden past. In The Alibi, Merritt Saxe, newly hired public relations specialist with the Florida prison system, answers an urgent plea from their division’s director, Willard Ware Baintree. Following his orders, she finds him in the apartment of his mistress, his bloody T-shirt and the mistress’s dead body convincing her the criminal justice superstar is himself a criminal. The director claims he didn’t kill the woman and coerces Merritt into being his alibi. Meanwhile, as the director pulls her farther into his web of lies, Merritt breaks with her longstanding boyfriend and begins a steamy relationship with hunky attorney Israel Goodspeed, whose brother works for the director. Yet how can she trust Israel with her secret or her heart when she suspects the director has been orchestrating their relationship to keep her in line? Speaking out about the cover-up could cost her more than time in jail…it could cost her life. 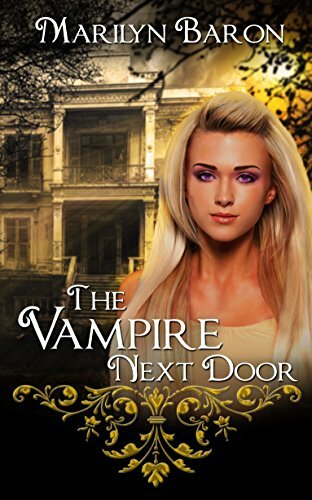 Marilyn Baron writes in a variety of genres, from humorous coming-of-middle age women’s fiction to historical romantic thrillers and romantic suspense to paranormal/fantasy. THE ALIBI is Marilyn’s 13th novel published with The Wild Rose Press, Inc. (TWRP) and her 21th work of fiction. AmazonEncore republished her book Sixth Sense in September 2015. She’s received writing awards in Single Title, Suspense Romance, Novel With Strong Romantic Elements and Paranormal//Fantasy Romance and a chapter service award from Georgia Romance Writers. A public relations consultant in Atlanta, she graduated with a BS in Journalism and a minor in Creative Writing from the University of Florida. She worked in Public Relations for AT&T in Atlanta for 13 years before starting her own PR firm. She serves on the Roswell Reads Steering Committee and was a featured author in the 2016 Atlanta Author Series. She was the Finalist in the 2017 Georgia Author of the Year Awards in the Romance category for her novel, Stumble Stones. A native of Miami, Florida, Marilyn lives in Roswell, Georgia. Marilyn has appeared on the Romance Lives Forever blog seven times. She has been an RLF Gem multiple times and was on the list of Bloggers of the Year in 2014. The position is chosen by the amount of visits the author’s post receives. 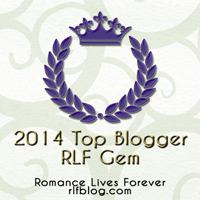 I’m proud to present Marilyn with the 2014 RLF Gem Award. Georgia Romance Writers (GRW) and the recipient of the GRW 2009 Chapter Service Award. She writes humorous women’s fiction, romantic thrillers/suspense, historicals and paranormal. She has won writing awards in Single Title, Suspense Romance and Paranormal/Fantasy Romance. Coming next Saturday…Top Blogger for 2015. Come back and see who it is! Visit the new blog – still under construction: RLFblog. Since the hashtag is #RLFblog, that’s the url for the new site. It will keep the name Romance Lives Forever.